…but we couldn’t be happier! 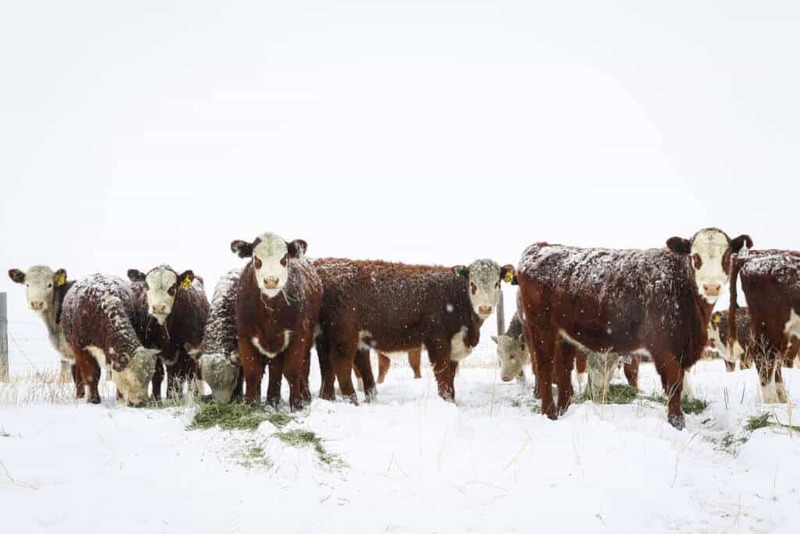 We bought 50 Hereford heifer calves this fall, and these girls are a beginning of a dream come true for Christian and I. Hopefully, they will become the start of an eventual full-fledged cattle operation for us as we breed them and grow the herd. And so, even on the coldest, nastiest, most frigid days, he bounces out to the pasture in the feed truck to deliver them a bale or two of alfalfa. 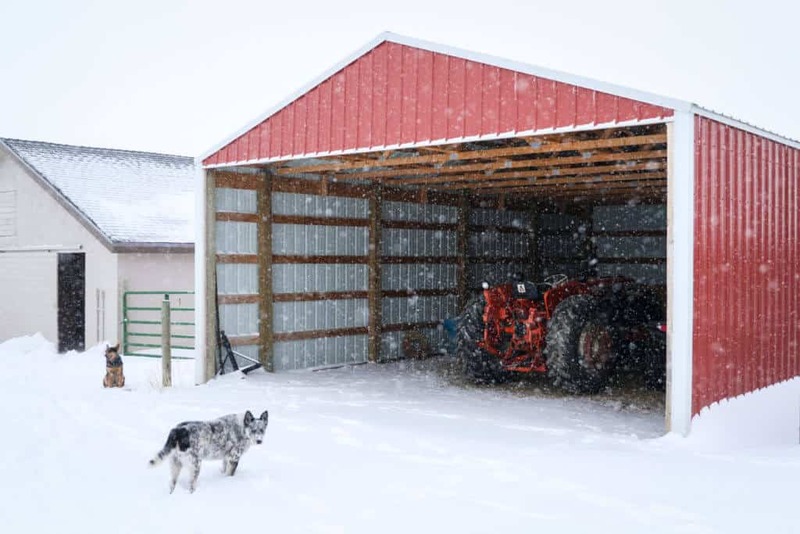 Here at the home place, there’s continual ice to chop, chickens to look after, and hay to feed to our small herd of horses and milk cows. 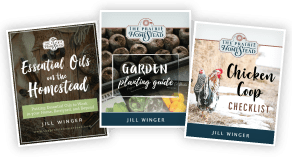 The chores never end on a homestead, especially in the winter, but truth be told? We love it. 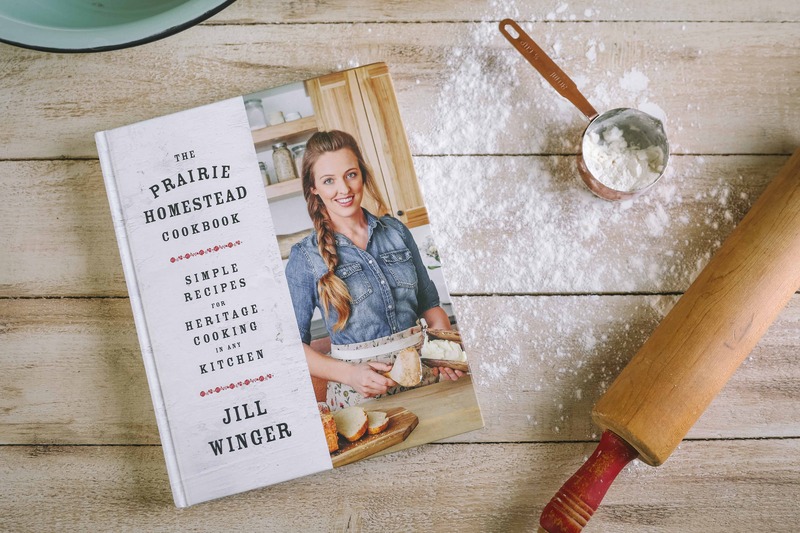 We live for the adventure that comes with good old-fashioned prairie blizzard. It’s all good. 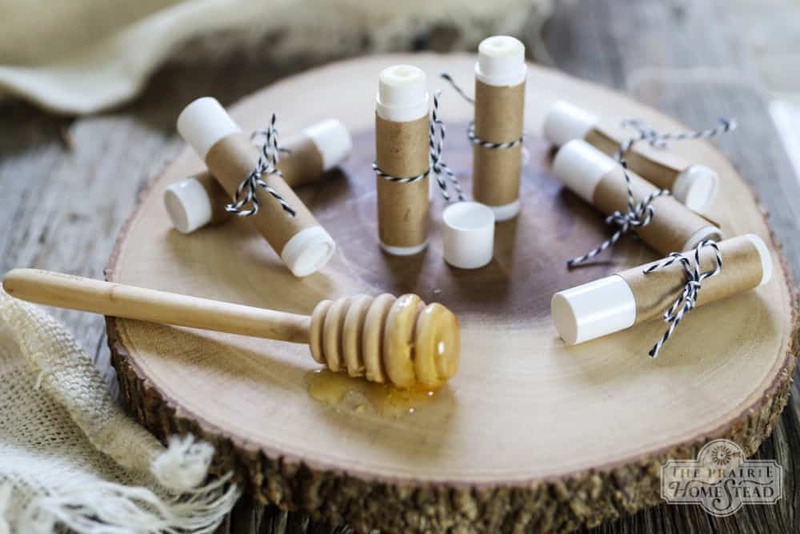 But anyway… Let’s talk about homemade lip balm. If you have lips (which I’m assuming you do), you gotta make this lip balm recipe. Like today. (Or whenever Amazon Prime can get the ingredients to your door, at least.) The ol’ lips dry out fast in the winter, even if you’re not getting continually whipped in the face by the legendary Wyoming wind like we are. 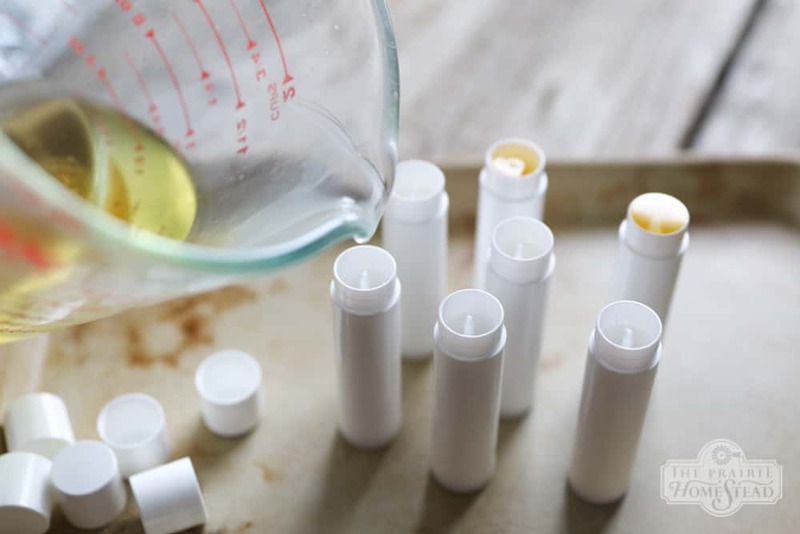 Sure, there are plenty of petroleum-based lip balms you can buy at the check-out stand at the grocery store, but why not make your own? 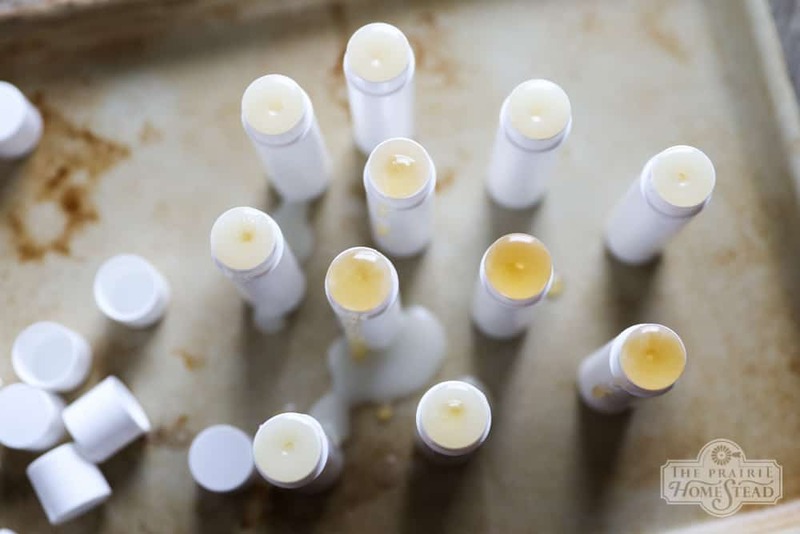 This lip balm recipe only takes a few minutes, and the price per tube is very minimal. 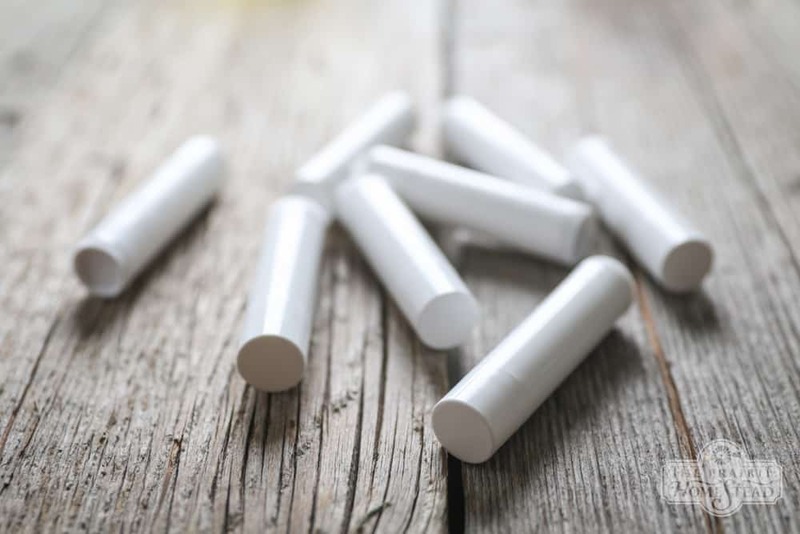 You can pour your homemade chapstick into lip balm tins if you wish, but I prefer using the little plastic push-up tubes since they are easier to pack around in a pocket and I don’t need to have clean fingers before applying. Most local health food stores will carry the basics, however, if you can’t find the supplies locally, Amazon is your best bet. Except for the honey. 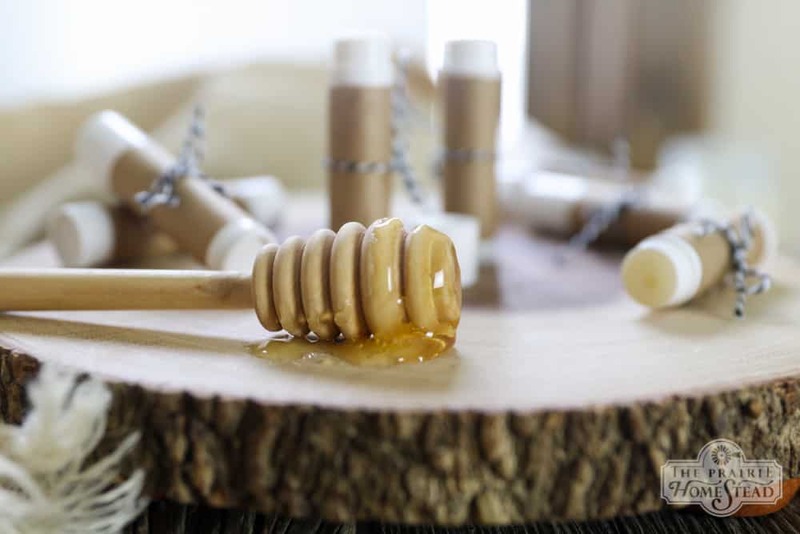 That I’ve found is much better quality–and better price!–through Bee Wild Raw Honey. For beeswax, I prefer using pastilles or pellets, since they melt quickly, but you can use chunks of beeswax, too. 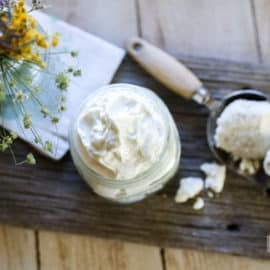 Place the coconut oil, beeswax, and shea butter in an oven-safe dish or cup (I like to use a Pyrex measuring cup–it makes for easier pouring), and place this container into a small saucepan filled with water over medium-low heat. Heat and stir until the mixture is completely melted, then stir in the honey. Remove from the heat and stir in the peppermint oil. 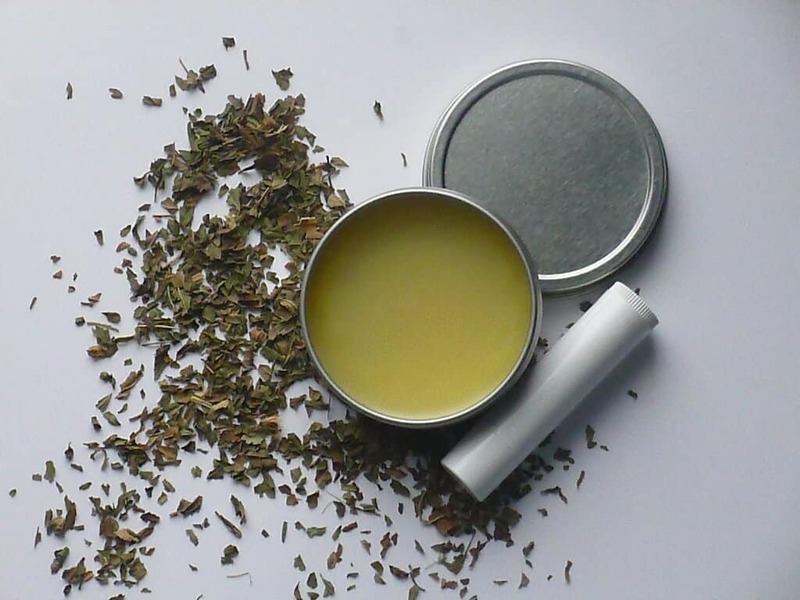 Carefully pour into tubes or tins, stirring frequently as you go. (The honey likes to sink to the bottom.) Let the tubes cool and set up for one hour. I’m not a tidy pour-er… And it doesn’t help when the kids are right at my elbow asking a million questions. Thankfully, it’s easy to wipe the tubes clean once the lip balm sets up. 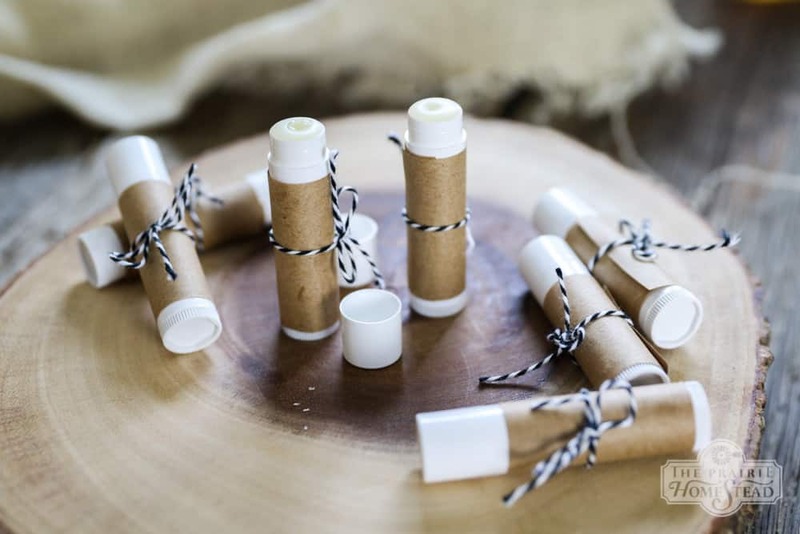 Decorate the tubes with bits of paper or string if you like, and store in a cool place and apply to your lips as often as needed. Not into peppermint? You can easily substitute any essential you like in this recipe, just avoid citrus oils as they can cause photosensitivity. For easy cleaning, having some boiling water ready to rinse your pan and spoon. 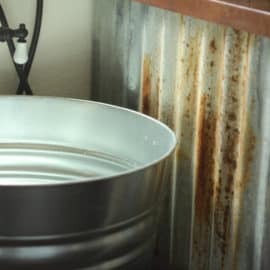 I like to keep the sink full of hot, soapy water to dunk the pan and tools in as soon as I’m done. 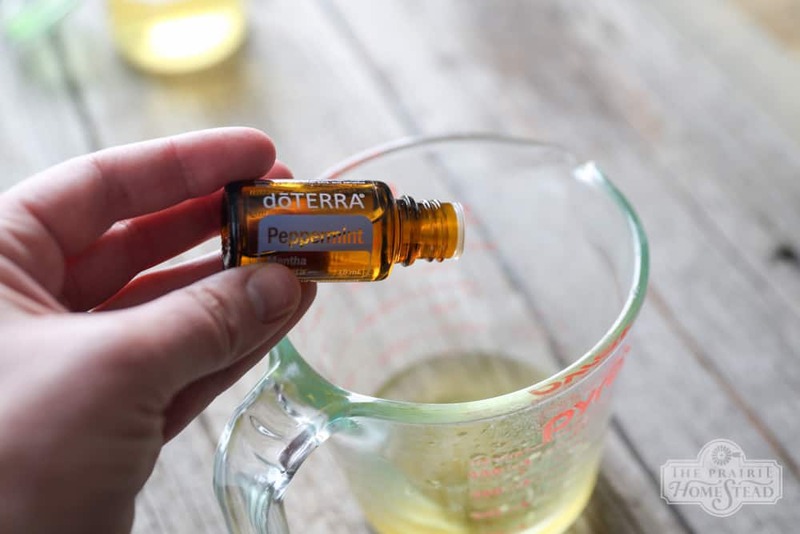 For easy pouring, take the extra time to pour the oil with wax into a measuring cup with a spout to pour into your tins. Use a spatula to scrape the pan. It seems like a pain, but you will spill less. Those little chap-stick containers are difficult to pour into. 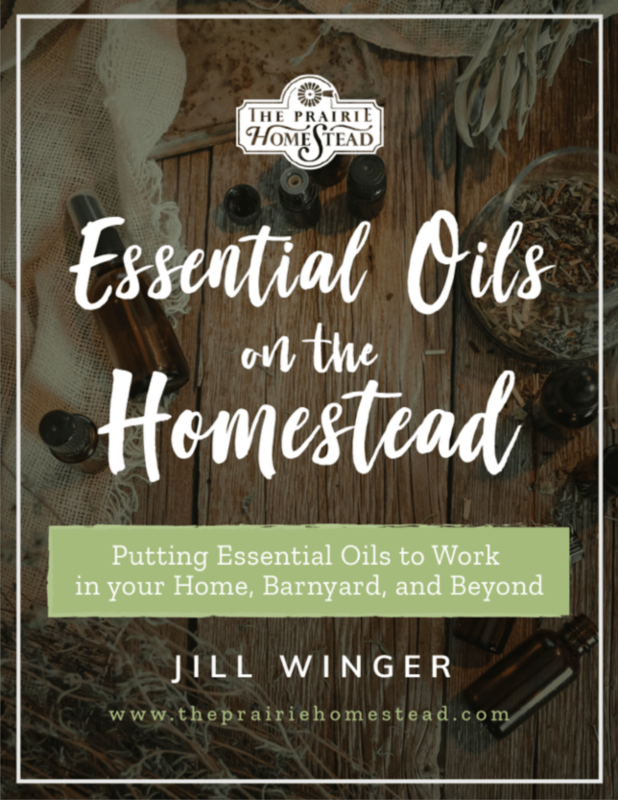 We only use doTERRA oils on our homestead (and I use them for EVERYTHING). They’re potent, they’re pure, and they’re sourced ethically and sustainably. What more could you want? My post calendar is filled up/already scheduled for the time being, so I don’t really have room for another post at the moment. Thanks for the offer though-=- it sounds delicious! Thank you for this! 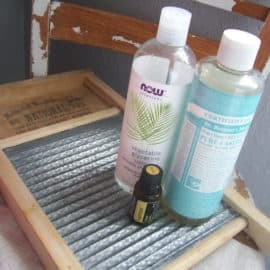 🙂 One question ~ do you use the regular pans/spatula that you would for cooking food or do you have special ones set aside for lip balm making purposes only? Is there a substitution for Almond Oil ? I am allergic to tree nuts ? Try apricot or avocado oil instead. Or even a mild olive oil. Can you replace the almond oil? My son is allergic to almonds. Hi! Can I use jojoba oil in place of the almond oil? It’s what I have on hand right now. Also, could I add coconut oil? Very excited to make these!! Thanks! Yes, those substitutions should work just fine. What a beautiful post!! It’s amazing how God prepares us for ministering to our children, friends,and even strangers. Too many times to count, God has used my pain and suffering for His Glory in serving others. Did you tell your son what happened to you? I wondered… because I think he might love to hear something like that. God loves him and is taking good care of him through you…so much that he let you feel your son’s darkness, so you could better serve your precious child. SO. AWESOME. Does this hold up well in warmer weather or would I need to make an adjustment, say more beeswax? Can you leave out vitamin E? I have been reading it is not very good for you. I always loved using peppermint lip balm. However, I am always losing chapsticks because they fall out of my pockets. So, having it in a tin sounds like an easier way for me to keep track of my balm. But I am not sure if I would want to make it myself. I don’t even know where I would get stuff like beeswax and vitamin E oil. Amazon has everything you need! How many tubes does this recipe make? I just made this and it filled 10 regular chap stick tubes. I was also wondering how many tubes this makes, before I order them, I’d like to know! Thanks!!! 10 to 11 tubes (I just updated the recipe with new ingredients, FYI) 🙂 but either formula makes about the same. 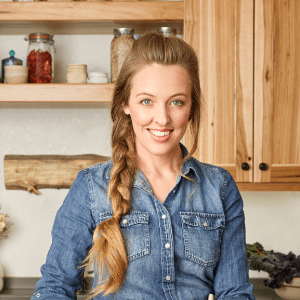 Your receipe calls for 1/4 ounce of bees wax. I am using my cleaned waxed from my hives that is in a solid sheet. So, how much wax would I then use? You’d just need to measure it with a scale to be sure. I have a lot of mint growing and it smells and tastes wonderful. I don’t know how to turn the leaves or stems into oil. Oh man… I always make a mess when I use a turkey baster for turkeys… I think it’d be a disaster with liquid chapstick, ha! 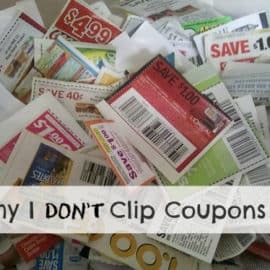 Could I use the soft gel vitamin e oil? Just pop them squirt it out. what do you suggest in replace of shea butter? I am allergic to it… Thanks! Hi! I just made this recipe and was so excited about it. However, the honey did not incorporate into the rest of the mix. It separated to the bottom just like oil and vinegar. Can you explain? Thanks! Me to I made it and loved it until the honey started running out of the bottom of my tube. 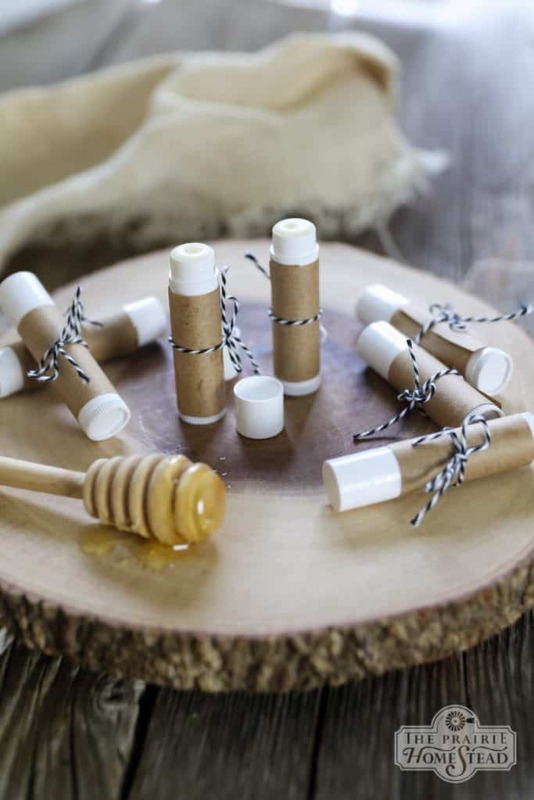 My base lip balm recipe is equal parts of coconut oil, shea/mango/cocoa butter, and beeswax. This recipe works well, is easy to remember, and doesn’t tend to melt when I leave it in my pocket. Hobby Lobby sells the tubes if someones looking for them with no time for shipping from Amazon. How much vitamin E? I don’t see it listed in the recipe. Could I use more beeswax to make a firmer product? I was wondering the purpose of the honey. What does it do for our lips? We found out if you drill several holes in a board just a little bigger than the tubes. Put the tubes in the holes so when you accidentally bump a tube when pouring they won’t fall over making a mess. Works great!